With over 40 years of experience, Cosmoplast is a leading plastics manufacturer that incorporates its values of service and reliability with quality products. Founded in 1970, Cosmoplast pioneered the supply of building materials, infrastructure products and consumer goods in the emerging markets of the Middle East. At the outset, Cosmoplast started with the production of transport crates and polyethylene bags and today the company has grown to be the Middle East’s largest and most diversified pipe and well casing manufacturer. Renowned for their product range that includes house ware products, plastic thermoformed disposable cups and containers, outdoor furniture and a full line of coolers and iceboxes that are sold in retail outlets, hypermarkets, supermarkets, sporting goods, hardware and speciality stores in the UAE, GCC and 35 countries worldwide. 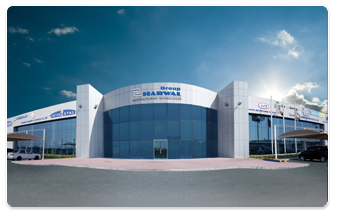 The company’s headquarters are based in the UAE with complete manufacturing facilities in the United Arab Emirates, KSA and CIS that convert 120,000 MT of plastic material into finished goods each year in state of the art facilities. With over 1,000 personnel employed throughout the Middle East and Europe, the key to the company’s success is a combination of superior leadership and a diverse workforce who are dedicated to innovation, quality and customer satisfaction.